Smart appliances can be managed remotely by apps, design tools for the control of consumption and slim OLED TV screens. Here are some of the products presented at CES. The International CES, Consumer Electronics Show®, is one of the most important annual events in the world for all those who handle and love the products and projects related to consumer technologies. The ESC, in fact, is the most important exhibition of consumer electronics and is held once a year at the Las Vegas Convention Center, Nevada. The 2016 edition of CES ended a few days ago: it is time, then, to find out what were the futuristic products related to the home world (the fair also has sections devoted to something else, cars, entertainment, etc ...) that have amazed most visitors being presented for innovation and avant-garde. Let's discover, then, what are the products and services that seem to have arrived to Las Vegas directly from the future, but that are already a reality and that may soon enter into our daily routines and in our homes. Sony introduced the compact projector is LSPX-P1 with wireless HDMI connectivity. This mini projector, which unlike the classic ones can be hold in the palm of a hand, is able to project images with a resolution of 1366x768 pixels and a brightness of about one hundred lumens. Thanks to its optical ultra-short throw, it can project at a short distance from the screen. 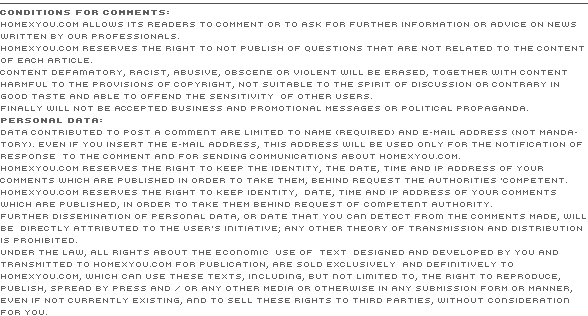 The audio is managed by an integrated speaker and it is also possible to reverse the projector, so as to project on a flat surface, such as a sheet of paper. 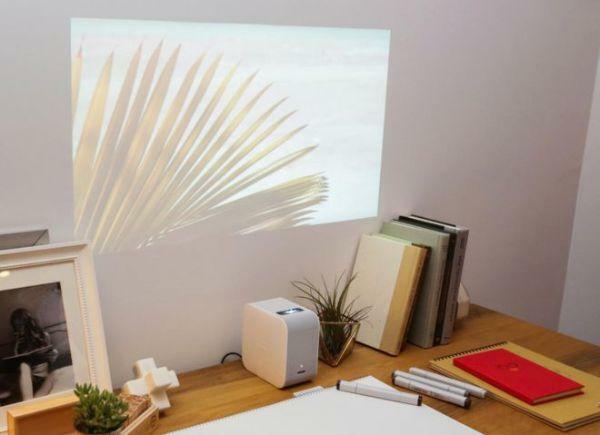 The projector by Sony is equipped with a wireless transmitter with HDMI input that allows you to send signals without connections with cables and wires. The projector is conveniently controlled from the remote control or from an app that will send files from the mobile. The battery of the projector has a life that allows an autonomy for watching an entire movie. LSPX-P1 will be on sale by the summer of 2016. And it's again the use of an easy and complete application to allow us to manage also our refrigerator at home, according to the logic of increasing Internet of things. Samsung has also made smart the refrigerator, which now can also communicate remotely with our phone. The refrigerator, in addition to its attractive design, has a 21.5-inch LCD display and buttons similar to the smartphone operating Android system. 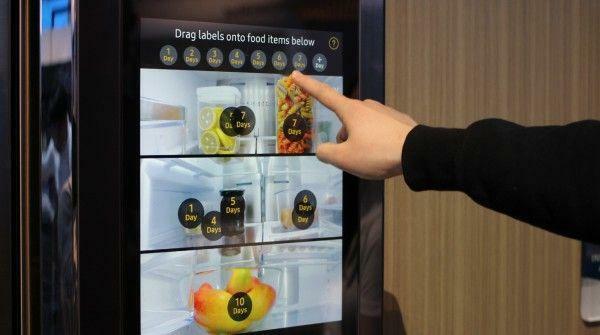 The revolution of Samsung Family Hub is inside the refrigerator, which, thanks to a system of three cameras, allows remote viewing of the shelves and their contents. This will allow us to make smart spending once we are at the supermarket, connecting us with the fridge, to see exactly what we need and what is missing. So goodbye to shopping lists (unless they are transmitted from the fridge), wasted food, inattentions or risk of buying something that we already have because we are in a hurry. The Grocery app, the first for refrigerator developed by Samsung and Mastercard for the new Family Hubs, will be installed on the phone warning us also when our supplies become few and which supermarket offers affordable deals. You will also be able to shop from home. Grocery will allow the consumers to order products from Samsung Family hub refrigerator. Once at home, we could use the display as a normal screen, to see recipes for example, but also check our files, send email, view the family calendar, post photos from your phones, listening to music during meals or see movies in streaming and especially buy products online (initially only in New York). The Family Samsung Hub will be available in the US market from May 2016. LG unveiled at the Consumer Electronics Show (CES) in Las Vegas several of its most innovative products on the front of the TV with IPS screens, among which the models UH9500 65-inch and UH9550 86-inch and TVSUPER UHD of UH8500 65-inch and UH8550 75 inches. A premium line, that of TV SUPER UHD, which ensures extremely faithful color reproduction, high image quality, optimized management of sound thanks to HDR (high dynamic range) and the prestigious Ultra slim design by LG. LG also unveiled its line of 4K OLED TV with HDR technology, among which stand out the incredible models G6 from 77 and 65 inches and E6 from 65 and 55 inches. 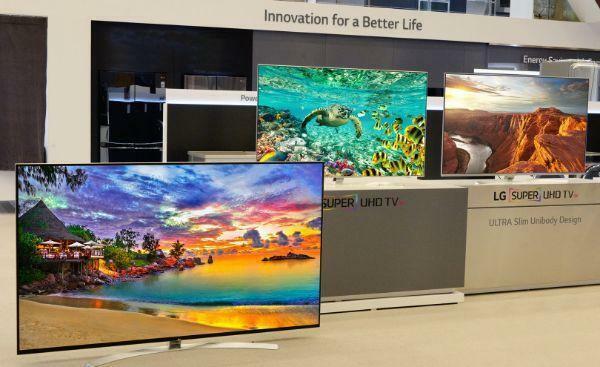 In all eight new models are the latest technologies from LG, such as OLED display, 4K resolution and the HDR. G6 and E6 are the first TV made by LG with the new design Picture-On-Glass, which boasts an OLED panel of only 2:57 mm thick, an elegant rear black glass semi-transparent and a front sound bar. With an extreme attention to the quality of images and sound, G6 and E6 by LG represent the new state of the art in the home entertainment. Unlike the old LCD, where a LED backlit panel illuminated a portion of the screen, each pixel of a OLED panel is able to turn on and off independently. 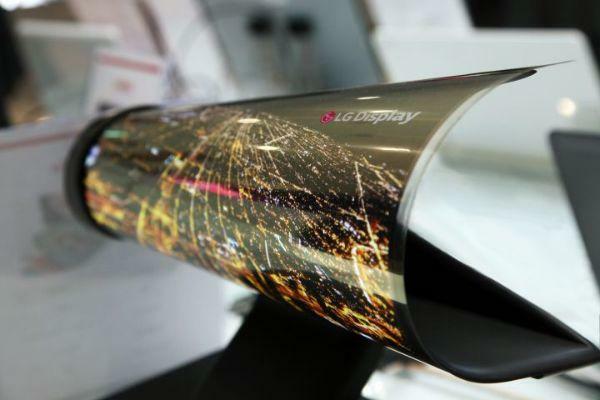 But the most amazing was the technology of OLED TVs that can be rolled up like a newspaper, as quoted the press release of the product. The 30R 18-inch television is only one of many innovations result of new investment on OLED technology. The display is foldable on itself. 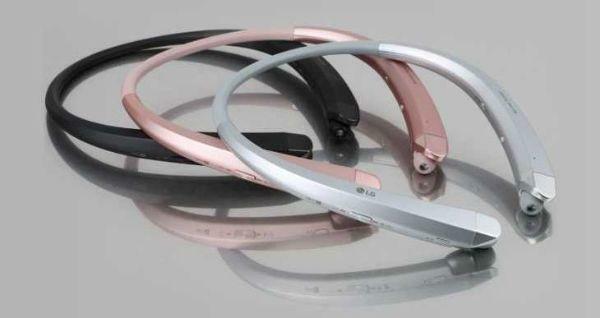 At the fair in Las Vegas LG also unveiled the new version of wireless headphones to wear around the neck, proposed again now with a slimmer design and superior sound quality. The new headphones InfinimTM Tone (HBS-910), with the metal body and long battery life, promise even greater ease of use. Thanks also to the new Quad Layer Speaker Technology™ they offer a first rank audio experience with a better balance and a better frequency response for richer bass and cleaner audio notes. In addition, the dual microphones with noise cancellation allows you to make phone calls in any environment. Together with the new Tone Infinim HBS-910, LG is also updating the free Android app Tone&Talk with two new features: Voice Memo and Find Me that let you record conversations and help locate the lost smartphone. The headphones will be available in February in the United States and soon after in the rest of the world. Ubiant® is a manufacturer of innovative solutions for home energy management. The event CES 2016 has highlighted the product Luminion, the bright object developed by Ubiant® awarded as one of the most innovative products of the year. Luminion is a kind of technologic candle capable of displaying the energy consumption for each individual user thanks to a system of lights that light illuminating its column. In addition to changing color depending on the consumption of the dwelling that houses it, the candle is also able to detect if our neighbors are doing an excessive use of electricity, so as to report it immediately allowing us to intervene, for example by reducing our use. The goal, which might seem perhaps utopian, is to contribute everyone, in our house, to a conscious and rational use of the energy sources, rebalancing it when it is possible even with the excesses of others. 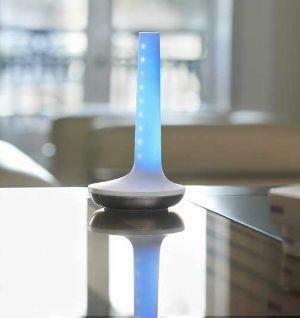 Luminion thus encourages users to adopt best practices and reduce their energy consumption. Once connected to the cloud intelligence platform Hemis-augmented, it helps regulating the energy consumption by up to 50%. Valutation: 5.50 / 6 on 6 votes.